• Retractable marker for easy one handed operation - no cap to remove or lose. • Safety Seal design helps prevent drying out. • AP certified non-toxic formula, quick drying ink. 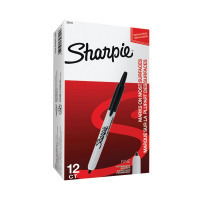 Get the quality of a Sharpie permanent marker with the convenience of a retractable pen. The quality, quick-drying ink produces smear-free results on almost any surface and a clever Safety Seal valve prevents the ink from drying up when retracted. 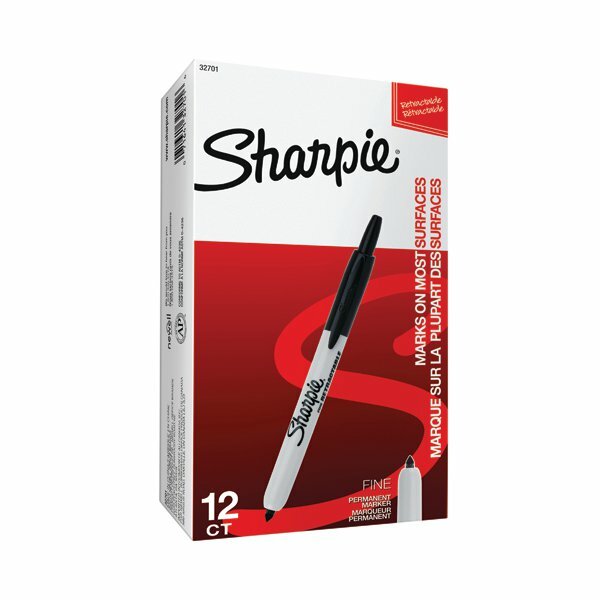 This pack contains 12 black markers, each with a 1.0mm line width.